We are currently planning book clubs for 2019. If you would be interested in heading up one, please contact us at 828.419.0677 or susanne@sassafrasonsutton.com. Give the gift of Sassafras! Our gift cards can be redeemed for any merchandise in our store (including the cafe!) or online and are available in any denomination. Even better, they never expire! Fifteen-year-old Ilya arrives in Louisiana from his native Russia for what should be the adventure of his life: a year in America as an exchange student. The abundance of his new world--the Super Walmarts and heated pools and enormous televisions--is as hard to fathom as the relentless cheerfulness of his host parents. And Sadie, their beautiful and enigmatic daughter, has miraculously taken an interest in him. But all is not right in Ilya's world: he's consumed by the fate of his older brother Vladimir, the magnetic rebel to Ilya's dutiful wunderkind, back in their tiny Russian hometown. The two have always been close, spending their days dreaming of escaping to America. But when Ilya was tapped for the exchange, Vladimir disappeared into their town's seedy, drug-plagued underworld. Just before Ilya left, the murders of three young women rocked the town's usual calm, and Vladimir found himself in prison. With the help of Sadie, who has secrets of her own, Ilya embarks on a mission to prove Vladimir's innocence. Piecing together the timeline of the murders and Vladimir's descent into addiction, Ilya discovers the radical lengths to which Vladimir has gone to protect him--a truth he could only have learned by leaving him behind. 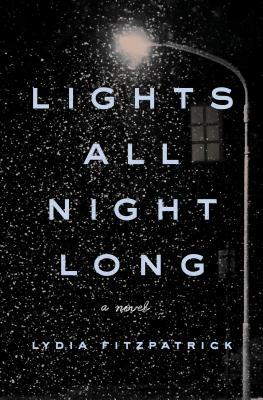 A rich tale of belonging and the pull of homes both native and adopted, Lights All Night Long is a spellbinding story of the fierce bond between brothers determined to find a way back to each other. Lydia Fitzpatrick's work has appeared in the The O. Henry Prize Stories, The Best American Mystery Stories, One Story, Glimmer Train, and elsewhere. She was a Wallace Stegner Fellow at Stanford University, a fiction fellow at the University of Wisconsin-Madison, and a recipient of an Elizabeth George Foundation Grant. She graduated from Princeton University and received an MFA from the University of Michigan. She lives in Los Angeles with her husband and two daughters.